It’s important to stay up to date on eye health information, especially because some eye conditions like Glaucoma have no symptoms. As an adult, you might ask yourself, “Why get an eye exam?” Getting an annual eye exam can easily be forgotten, especially with work, family and other obligations. Make sure you set a reminder in your smartphone or pencil it in to your calendar to get a regular eye exam every year. If it’s been more than a year since your last eye exam, please feel free to drop in to any 20/20 Eyeglass Superstore location or schedule an exam online. We have over 4000 thousand frames to choose from and we’re known for having a frame for every face and a price for any budget. We also have in-house optometrists that are available for full eye examinations. Check out our coupons page for current offerings as well. 20/20 Eyeglass Superstore is a family owned company that has been serving the Orange City, Melbourne and Winter Park areas for many years. We look forward to becoming your number one source for all your eye care and eye fashion needs. You can also follow us on Facebook or Twitter to stay up to date on eye trends and eye health. To protect our precious vision, we must take the necessary precautions. Common vision problems and the best remedies for these. Causes: Prolonged use of digital devices, reading, and other tedious visual tasks. Symptoms: Tired eyes, with accompanying headache or dizziness, blurred distance vision. Rx: Take frequent breaks— close your eyes or look at a distance to relax your eyes. Causes: Lack of sleep, prolonged reading or computer work, exposure to wind, electric fan or air conditioning. Symptoms: Sensation of a foreign body in the eye, gritty irritation, redness, itchiness. Rx: Dr. Fajardo advises applying warm compress, getting enough sleep, using lubricating drops, and avoiding allergic triggers like cigarette smoke. Causes: Eye fatigue, severe dryness, infection, allergy. Rx: Dr. Fajardo doesn’t advise using vasoconstrictors (redness relievers) because it can mask symptoms of certain illnesses. Cause: Prolonged use of digital devices. Symptoms: Headache, sudden nearsightedness, blurring of distance vision. Rx: Pseudomyopia vanishes after relaxing your eyes. If symptoms persist, consult your eye doctor. Do try eyeglasses on before buying. Don’t wear gold frames if you want to look younger. Don’t wear oversized frames if your face is small. Aviators can be aging because it pulls your face down. 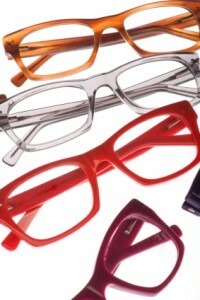 Have you checked out 20/20 Eyeglass Superstore’s vision selection? If not, now is the perfect time. We’re offering four great deals for the month of August. For the month of August, our goal is to provide you with fashionable eyeglasses, sunglasses and/or contact lenses. To get you started, we’re excited to offer the above four deals. The latest fall fashions include contrasting geometric shapes, mixes of feminine and edgy materials and floral prints. We’re sure you’ll want more than just one pair! 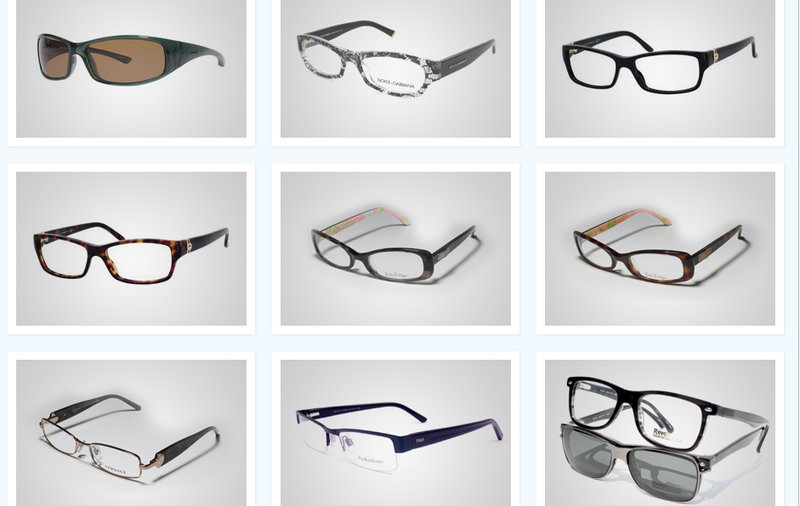 The 20/20 Eyeglass Superstore frame collection includes every single frame you can think of. From runway to nerdy, we offer thousands of frames so you can accessorize your outfits with a variety of options and stick to your budget. So bring your friends down to 20/20 Eyeglass Superstore and try on as many pairs as you like. Our sales associates are ready and waiting to help you with everything you need. From reading glasses to sunglasses, we want you to look great this fall! Don’t forget, your prescription may need updating if it’s been over six months since your last eye checkup. Each 20/20 Eyeglass Superstore location has an independent doctor of optometry on-site and walk-in’s are welcome, but remember to leave yourself approximately 15 minutes to fill out the required paperwork. If you’ve been wearing glasses for a while, you know how difficult buying the perfect pair is. It isn’t just about the looks. It is about the fit, the right shape and lots more. Here is a guide on buying the right pair. The rule of thumb is that the frame should not be too small or too large for the face. In the case of small frames, your field of vision will extend beyond the lenses which can lead to your prescription power increasing. A frame that is too big can be heavy and uncomfortable. Another downside of such frames is that they tend to make your eyes look smaller than normal. To test if you have the right type of frames, you should not be able to see out of the top, bottom or the sides of the frames without straining to look through those areas. Your lenses should cover about 80 to 90% of your field of vision. This is an important aspect because apart from making the glasses look aesthetically pleasing, it also helps the you see better. Although the width of the bridge in frames is standardized, your optometrist will measure the distance between your eyes and the thickness of the bridge of your nose to give you a better fit. The right distance between the lenses helps reduce strain on the eyes, stops the glasses from slipping down the nose while working, does not apply too much pressure on the inner portion of the eye and prevents the bridge of the frames from resting directly on your forehead. All these factors are important since glasses that don’t fit properly can lead to several issues like marks on the skin around the eyes and nose, headaches and trouble in the production of tears in the eyes. Tight arms could lead to headaches or pain behind the ears (caused due to excess pressure exerted by the arms of the frames) and marks along the side of the face. Loose arms can lead to constant slipping off of the glasses, and non-centered alignment of the lenses. Moreover the material that the arms are made of also matter. Some people experience an allergy to metal arms, while others might be allergic to plastic. In some people this allergy might not manifest immediately, but with dirt and sweat getting trapped between the skin and the arms, it can lead to an allergic reaction. A very important aspect while choosing the right set of frames is the center alignment, which helps you see accurately. Center alignment of glasses means that the lense is right in front of your eyes. This helps you see clearly, without straining your eyes. Since most eyeglass lenses are ground concavely on the inner surface and convex on the outer surface, it is always better to see out of the center of the lenses. Distorted or frames that tilt towards one side can cause eye strain and in some case cause an increase in the optometric defect. There are basically two types of materials – one made of glass, and the other (unbreakable version) made of a type of plastic. The benefits of an unbreakable lens is that it can be used without much fear of breaking. Mainly used for children and those who use their glasses particularly roughly, it is also lighter than the glass version. Glass lenses are a more delicate version of the plastic lens. Earlier they were the only type available, and were mostly used for bifocal lenses, but today with the advent of advances in the manufacture of lenses, a plastic one can be used to make bifocal lenses as well. In bifocals (a type of glass used for people suffering from a condition called hypermetropia*) a portion of the glass has a semi circular demarcation at the bottom of the lens –this helps people see near objects clearly. If you do have such a condition, you can now opt for progressive lenses, that function like bifocals but do not have the unsightly semicircle at the bottom, and are easier to see though since one does not need to readjust their vision every time they want to see something close to them. While choosing the type of lens you would like to use, make sure you choose one that you prefer and are comfortable with. *Hypermetropia is a condition where a person finds it difficult to see near as well as distant objects. It may seem inconsequential but nose pads play an important role in making your glass wearing experience comfortable. They should ideally be made of soft plastic and rest comfortably on the nose. They should not be too tight or too loose. The pad arm and pad plate should be adjusted so that they do not press down on the nose. Another factor is that certain people may be allergic to particular materials used to make nose pads. Now days there are nose pads that protect one against allergic reactions. Nose pads also help align the glasses to the centre of the face and keep the lenses away from your eyelashes. It is important that your eyelashes do not touch the lenses, because this not only is uncomfortable while you blink, it is also bad for your eyes and can lead to excessive eye strain. An indication that either the nose pads are too tight or that the glasses are too heavy is the formation of a mark on either side of the bridge of the nose. Make sure you ask your optometrist to measure your frame size before you order the glasses. They must be made or altered to your dimensions. Measuring the frame size includes 4 main measurements – eye, bridge, temple and vertical measurements. This is important because heavy frames tend to cause headaches or fatigue of the eyes. They are also more likely to slip off the nose often. That doesn’t mean that one has to stick to plastic frames all their life. There are frames made of titanium which are much lighter and tougher when compared to other types of frames. Lenses that are made of glass or plastic should be scratch-proof. Not only are scratches unsightly, they also distort vision and lead to eye strain. Anti-glare glasses help reduce the glare that comes off a computer screen or other electronic devices like smartphones. Getting them is wise because it reduces the strain that your eye go through from sitting in front of the computer screens for long periods of time. 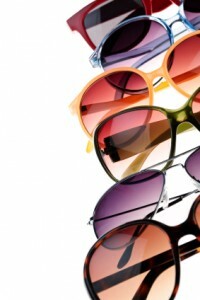 20/20 Eyeglass Superstore carries over 4000 quality and designer frames. Accordingly, our tagline is, “A Frame for Every Face and a Price for Any Budget”. We pride ourselves on assisting Orlando residents find everything they need when it comes to vision care. From prescription lenses to progressives, we can assist you find exactly what you’re looking for. If you have any further questions regarding which type of eyeglasses are right for you, please feel free to contact us anytime. We look forward to hearing from you. August is children Eye Exam Month, so Eyeglass Superstore shares 4 vitamins to help support eye health. The old adage to eat carrots for good eyesight may not be too far off from the truth. 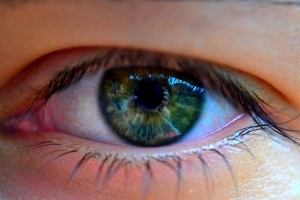 Studies have shown a connection between the intake of certain vitamins and a decrease in age-related macular degeneration, cataracts and other eye related problems. Since August is children Eye Exam Month, Eyeglass decided to share some of the most important vitamins for supporting and maintaining healthy eyes and vision. Vitamin E – In the Age-Related Eye Disease Study (AREDS) researchers found a 25 percent lower risk of developing advanced stages of AMD when a nutritional formula including vitamin E was taken. The AREDS supplement included 400 International Units (IU) of vitamin E.
To read The orignal article click here. 20/20 Eyeglass Superstore is Central Florida’s premier eyecare provider with three locations in Winter Park, Melbourne, and Orange City. We are proud to feature thousands of frame styles, lenses from the leading manufacturers, and sunglasses from the brands you love and trust. Every family owned 20/20 Eyeglass Superstore location features its own independent doctor of optometry as well as an in-house lab to ensure you receive your new customized glasses in as little as one hour. Our technicians maintain the highest standards of technical skills with the latest in eyecare technology. 20/20 Eyeglass Superstore of Melbourne, FL is always glad to share helpful information like these interesting eye facts with you! We’d love to help you in any way we can, so come on by and see us at one of our 20/20 Eyeglass Superstore locations in central Florida. Depending on your health and age, you should also visit the optometrist to make sure you are above driving standards. Sometimes people won’t even realize they have blurred vision as deterioration tends to happen quite slowly over time. Driving standards are very strict and you might be driving illegally without even knowing it! If you were involved in a car accident and your vision was found to be below the legal standard, your insurance might be void. This is a worst case scenario but it’s better to be safe than sorry! A visit to the optometrist can also let you know if you have a lazy eye. This is especially important for children, so if you are a parent or guardian, make sure you take your kids in for regular eye exams. Check out our post on Top 5 Tips on Choosing Children’s Eyeglasses for more information on bring your kids to the optometrist.